If you were ever wanted or were looking for a way to convert your email addresses, contacts and phone numbers into hyperlinks using your Gmail account then here is a good news for you. 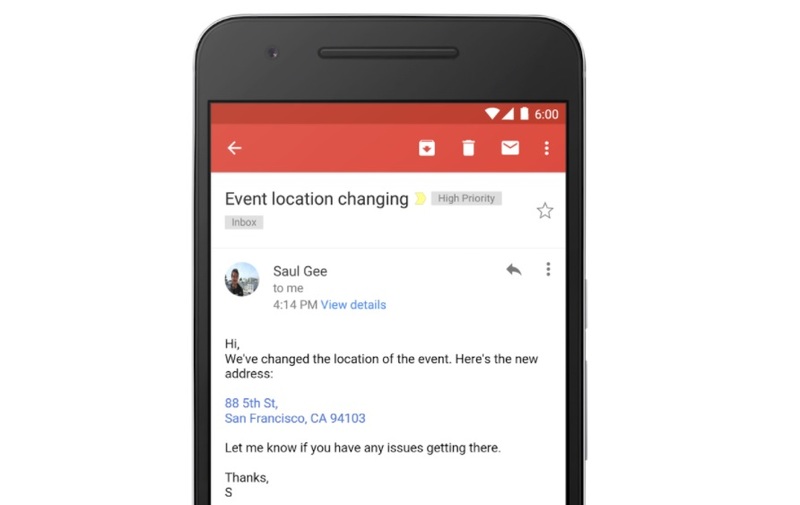 Google has just added an ability to Gmail that will allow the service to automatically recognize addresses, phone numbers, and email addresses in email and convert them into hyperlinks. Now you don’t have to waste your precious time to copy and exchange those emails addresses, contacts and phone numbers with each other. The new ability will be available on Gmail and Inbox by Gmail for iOS, Android, and Web for all users within the next three days. Gmail and Inbox for Android, iOS, and the web will now automatically convert text to interactive hyperlinks whenever it will detect phone numbers, addresses, and email addresses in emails. By clicking an address link will take you to Google Maps. Clicking an email address will compose a new email, using your default email client. Finally, clicking a phone number in Gmail on your smartphone will start a call request using your default phone app.